And the best part? Everyone who participates in this chip-timed race will receive not only the greatest finisher medal* of all time to add to your collection – you’ll also earn yourself a highly coveted box of Girl Scout Thin Mint cookies! 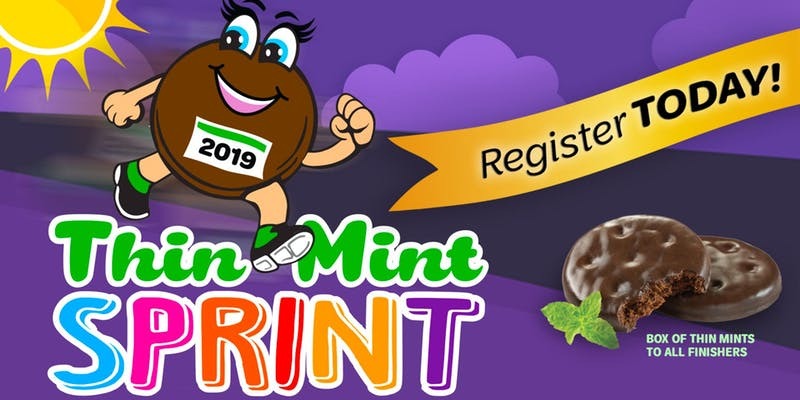 Additionally, all registered Girl Scouts under the age of 18 will receive a Thin Mint Sprint patch OR an I Beat the CEO patch if they beat our CEO, Lisa Johnson’s, race time!